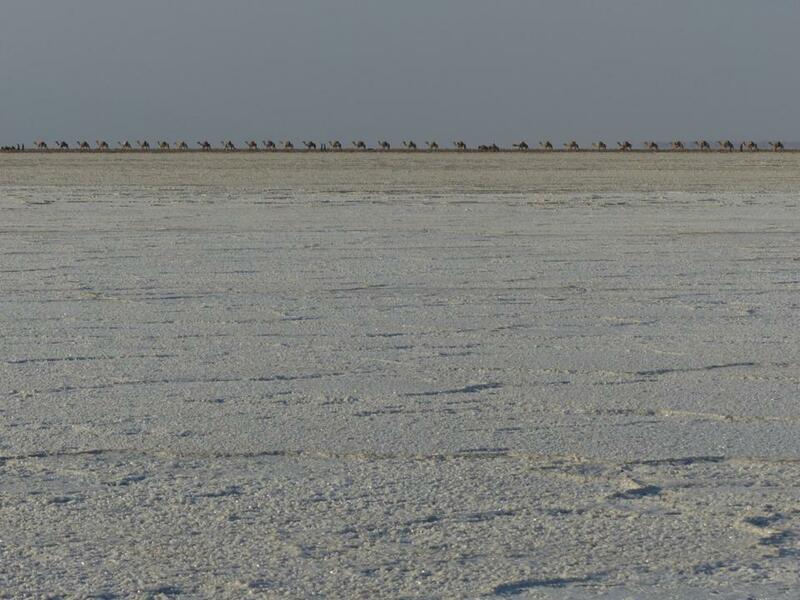 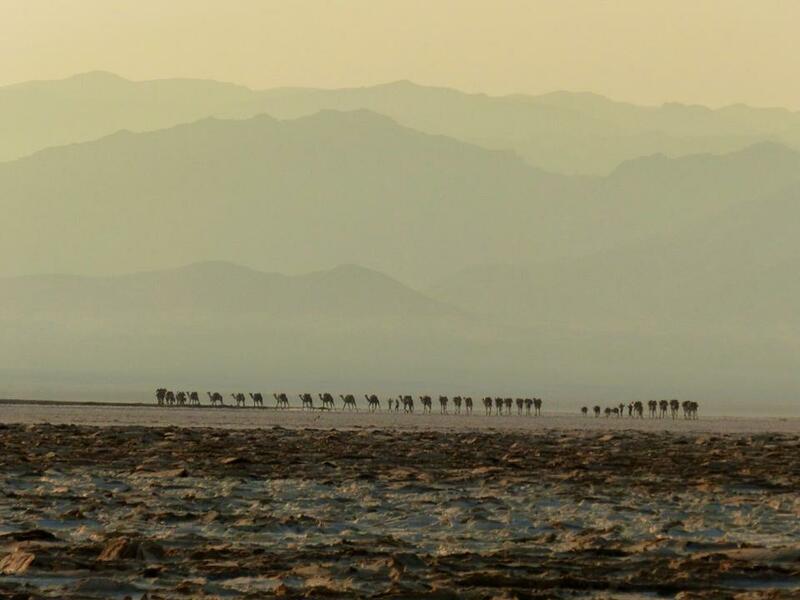 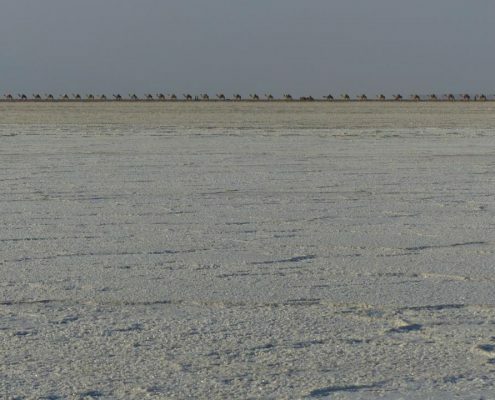 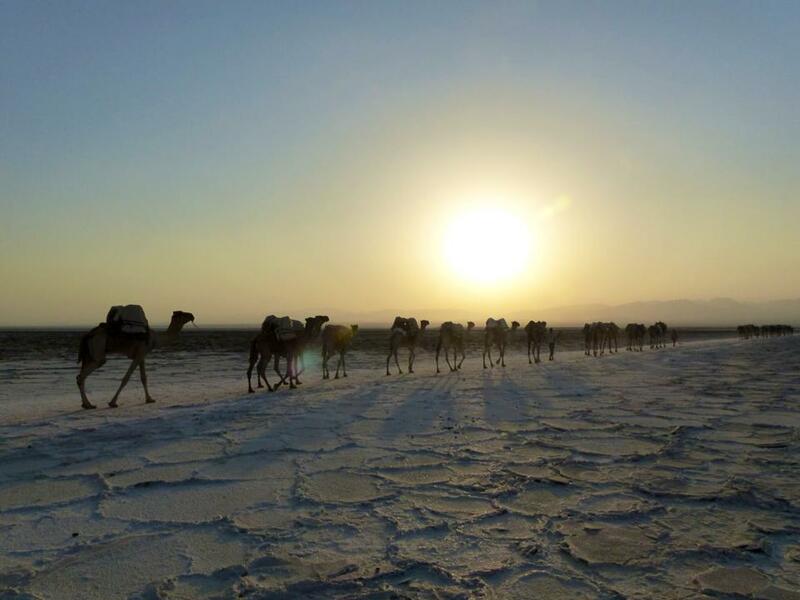 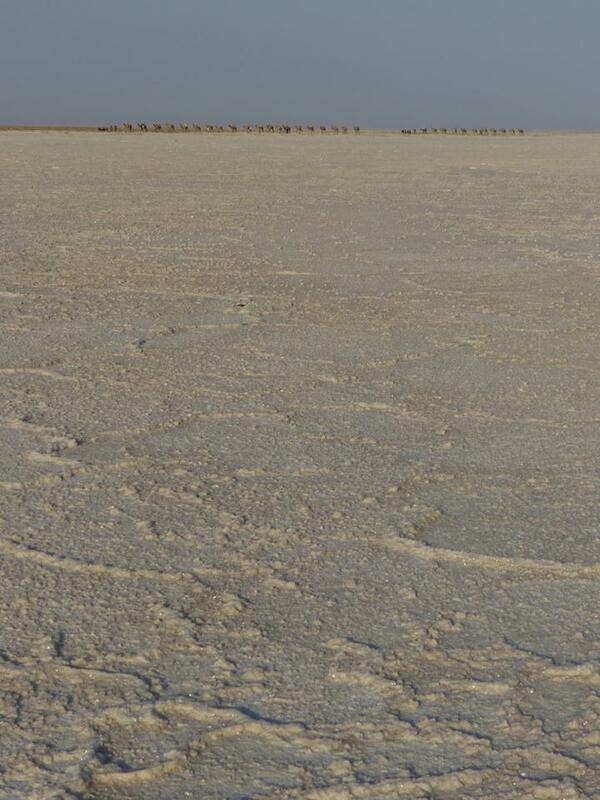 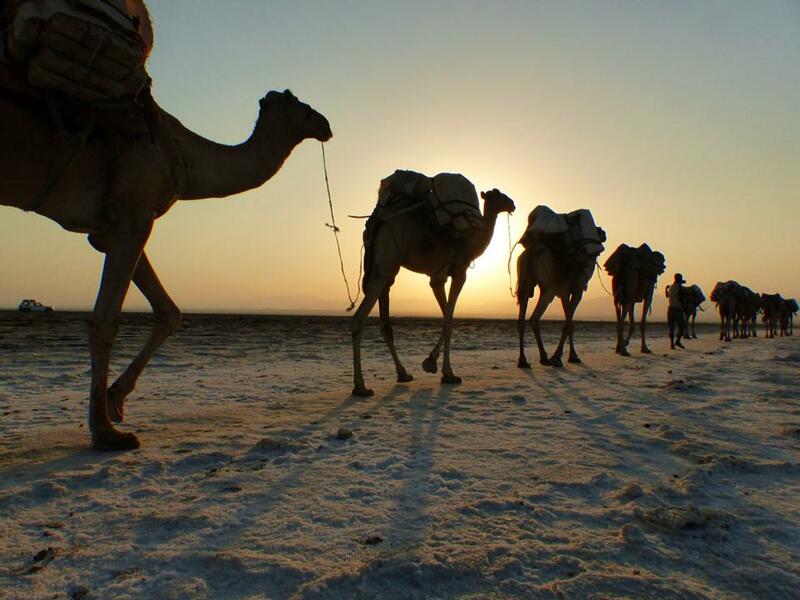 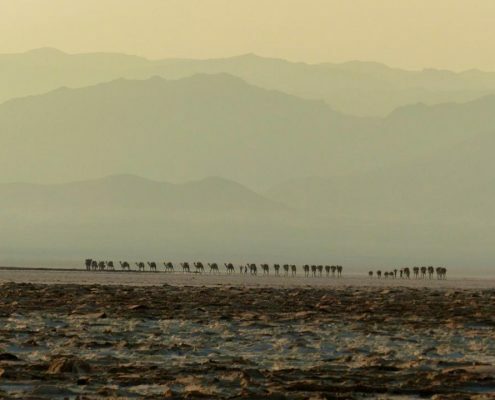 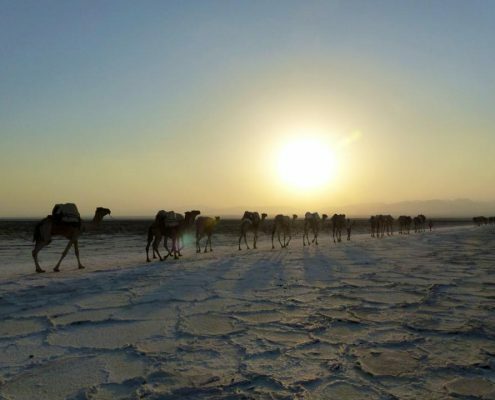 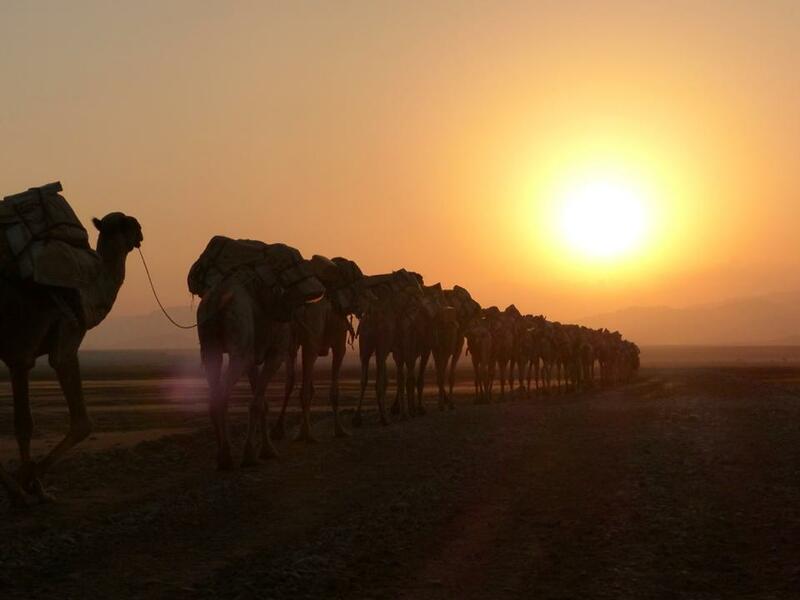 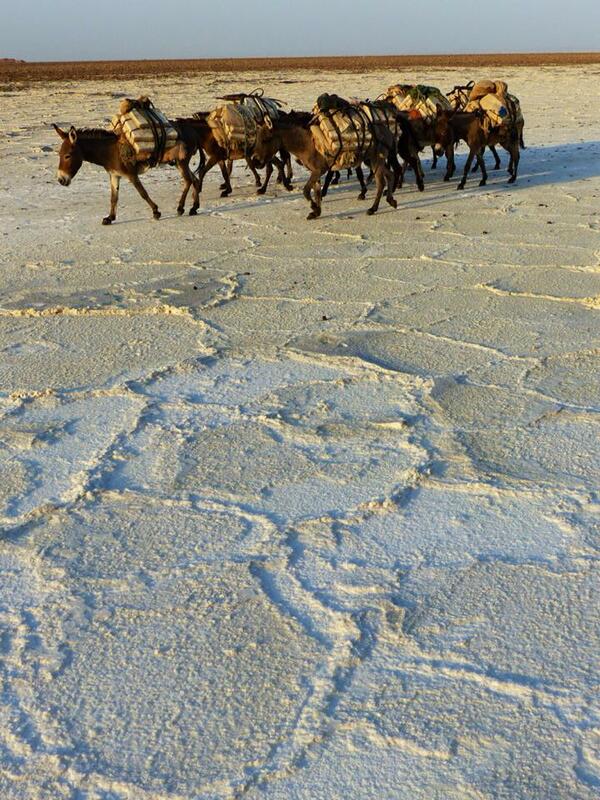 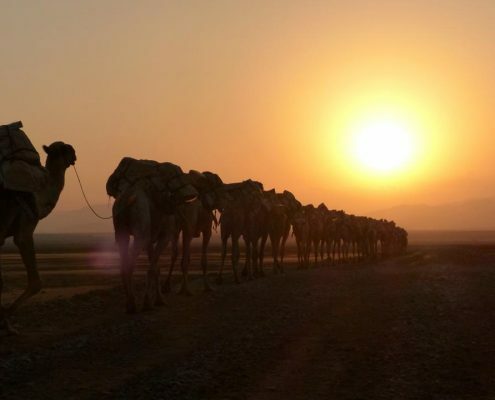 Loaded with salt blocks, the long caravans begin their journey west into the sunset. 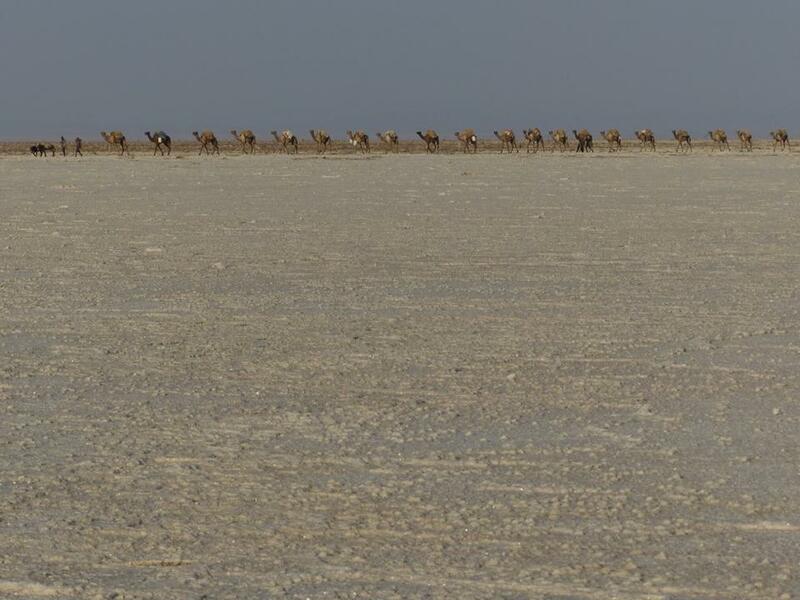 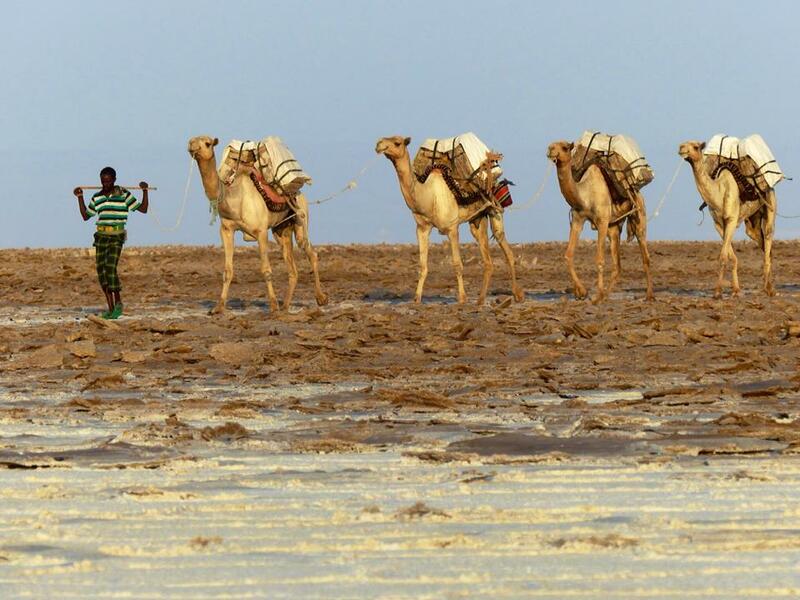 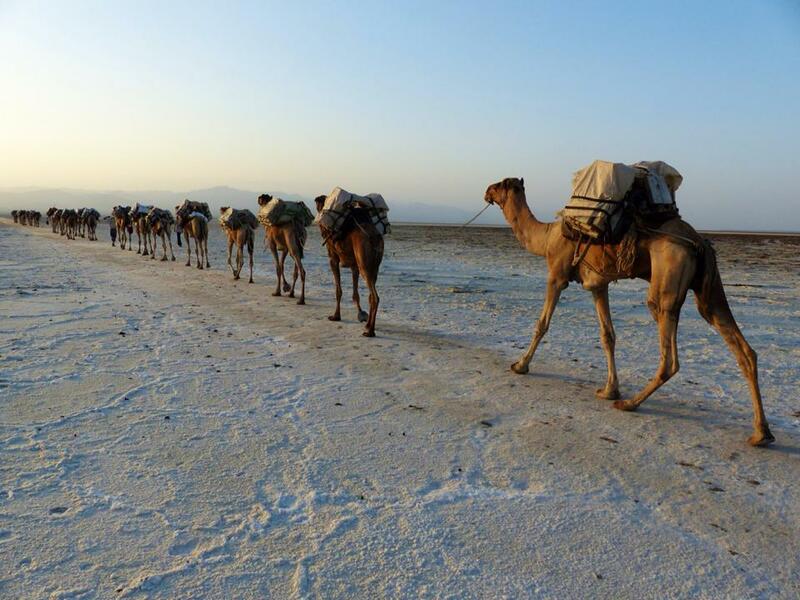 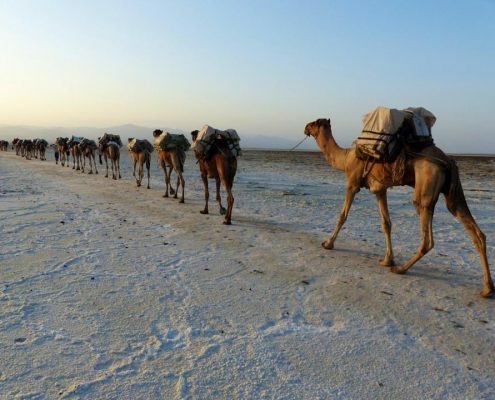 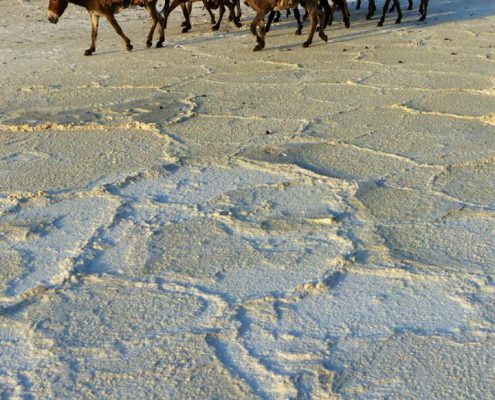 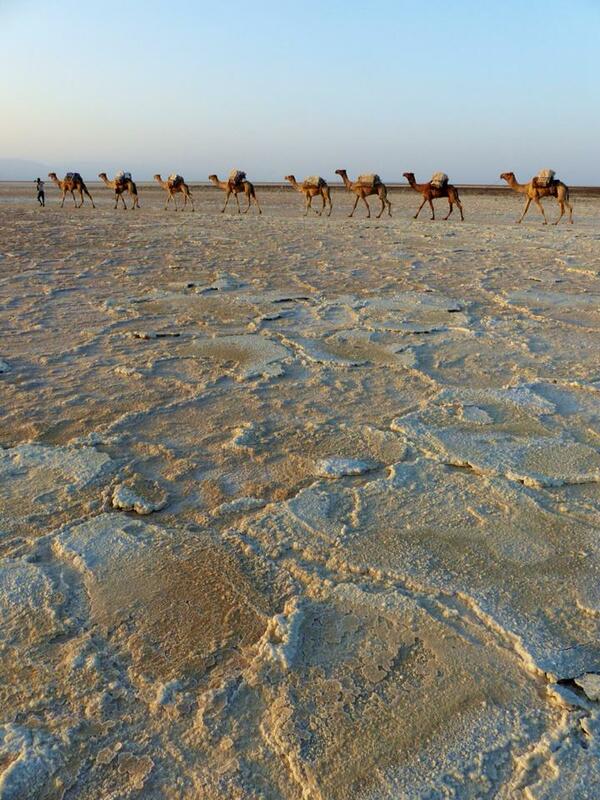 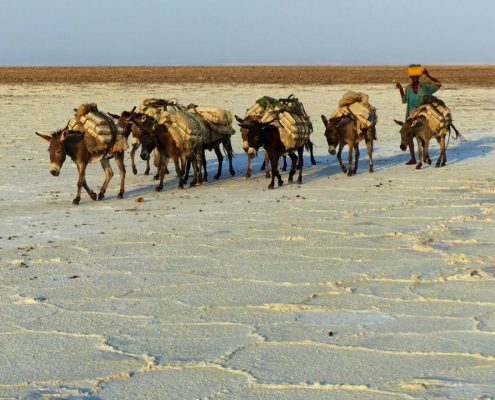 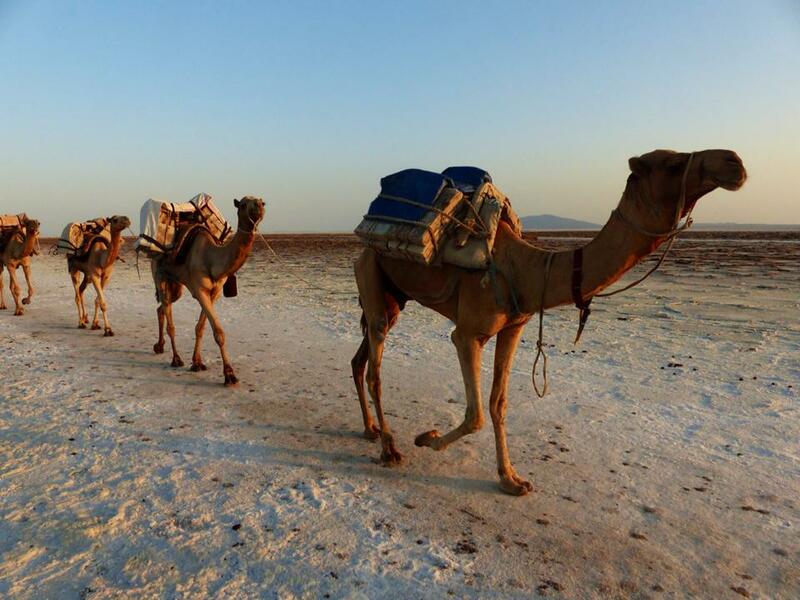 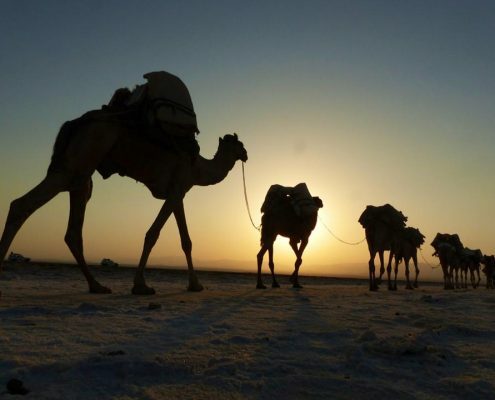 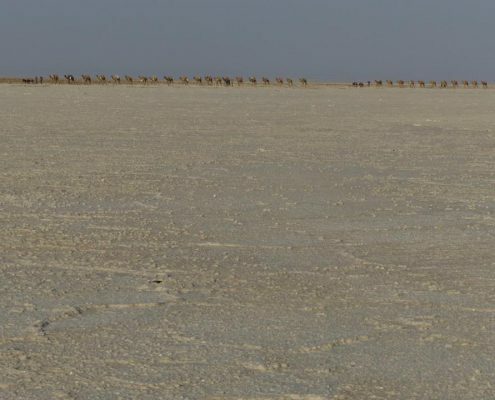 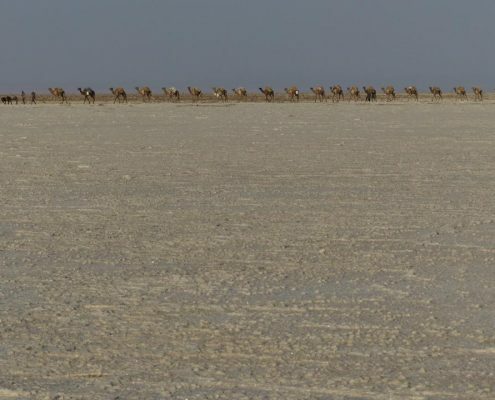 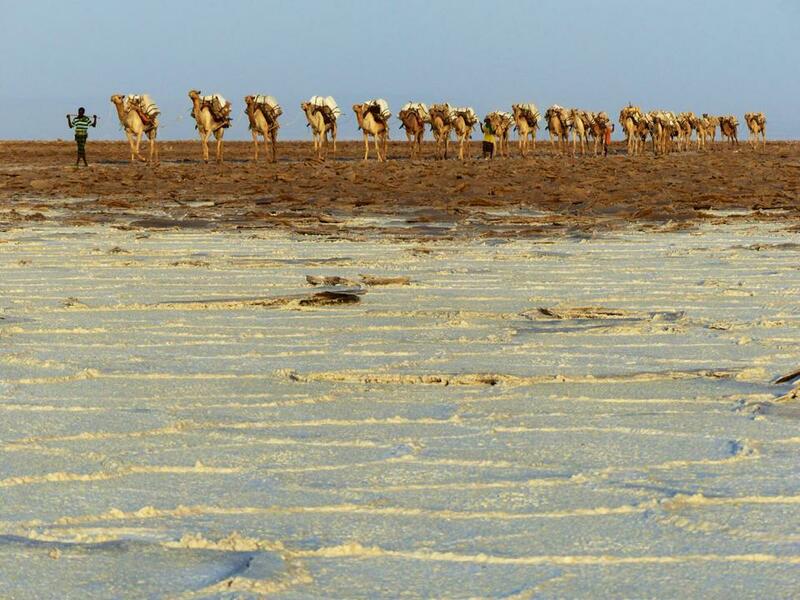 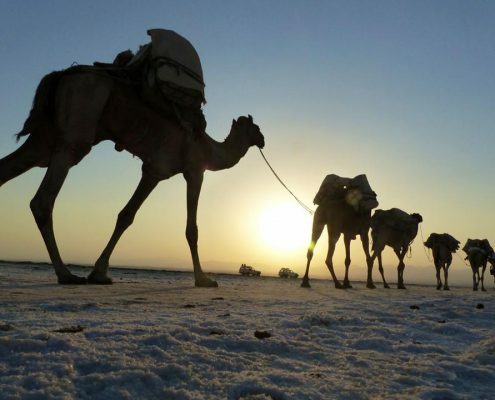 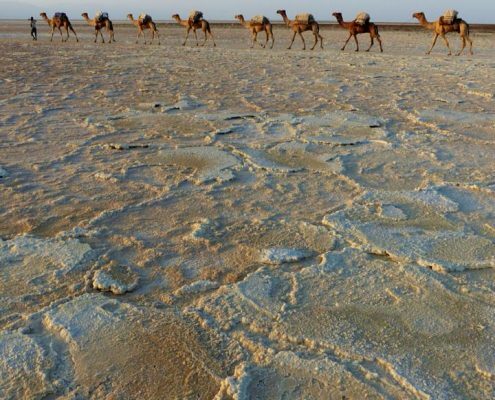 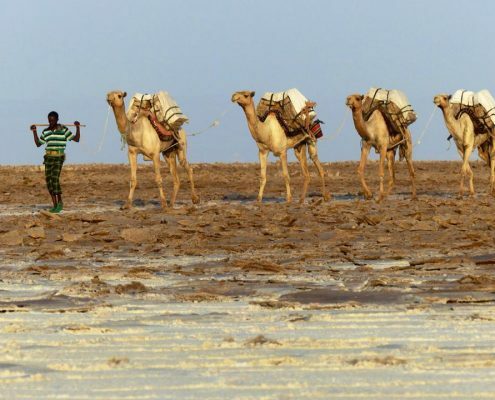 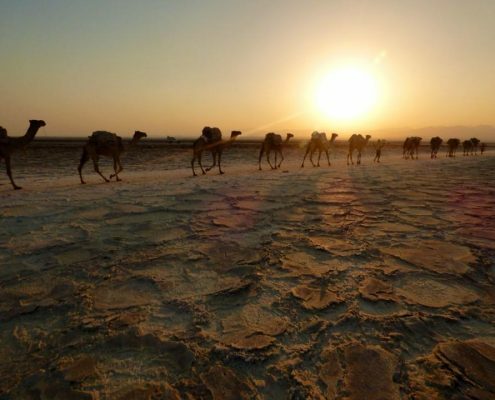 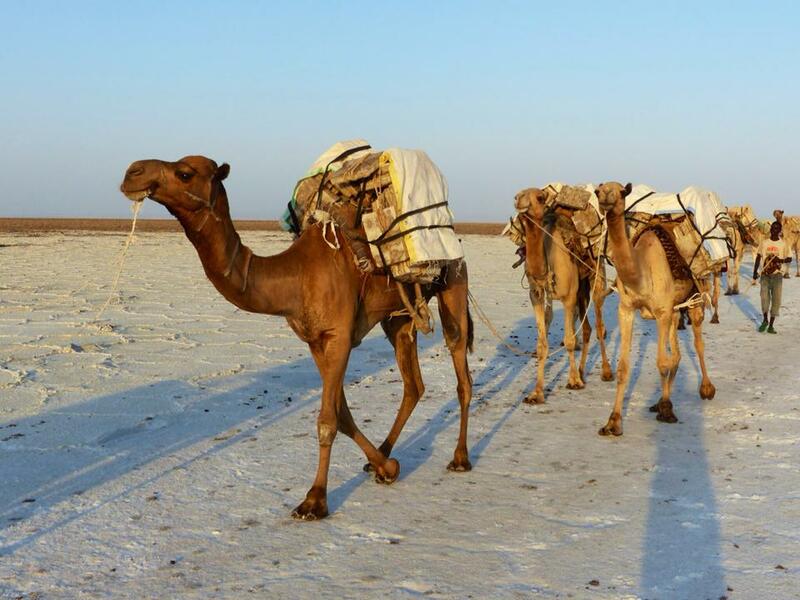 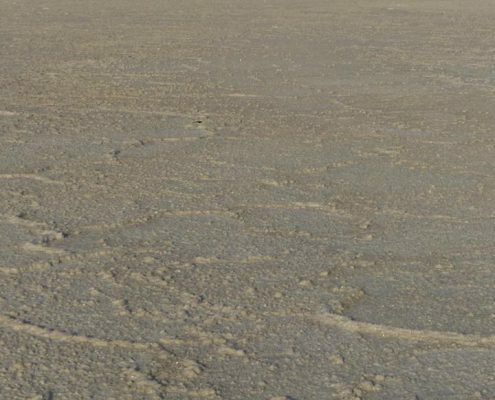 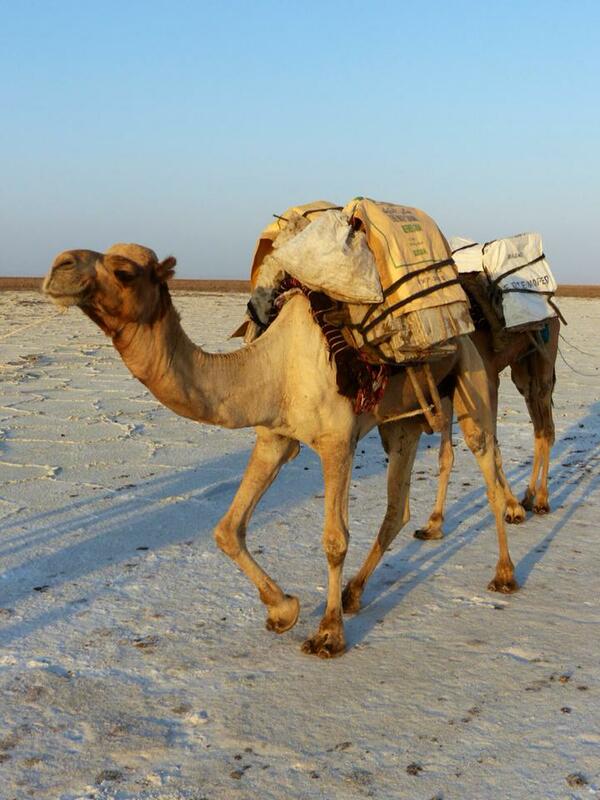 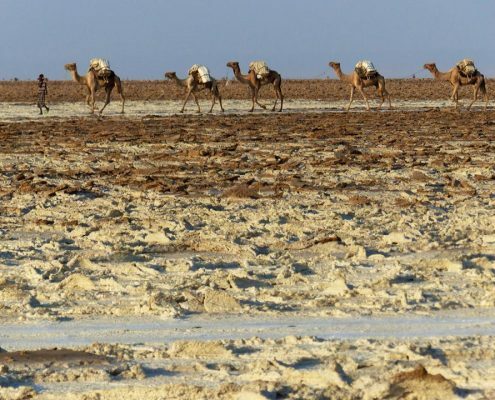 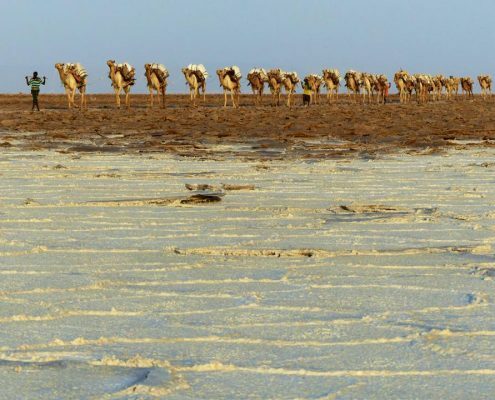 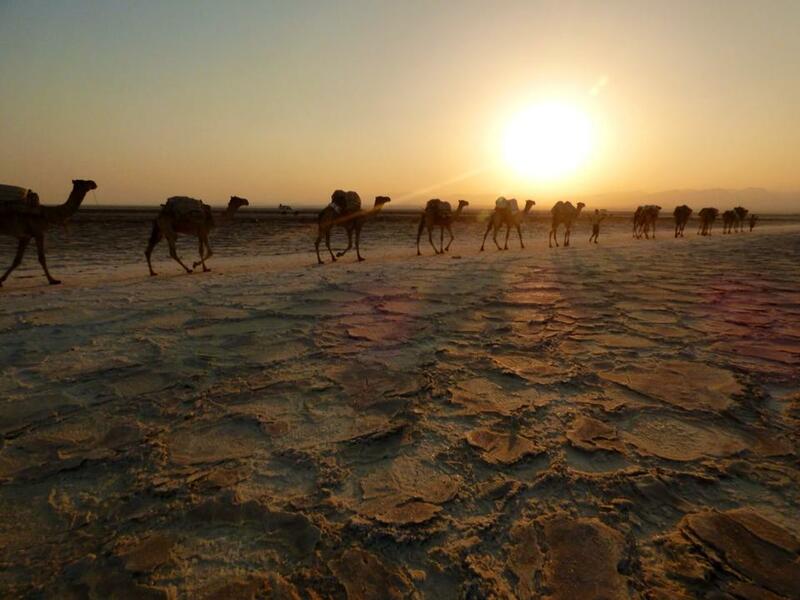 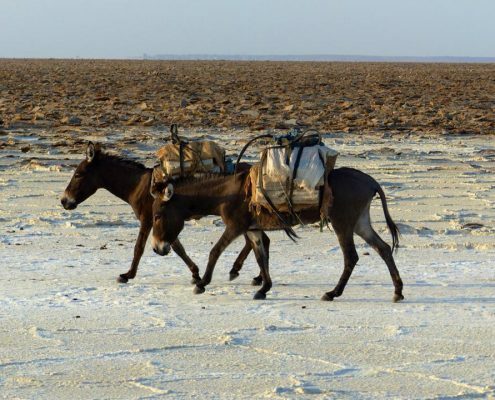 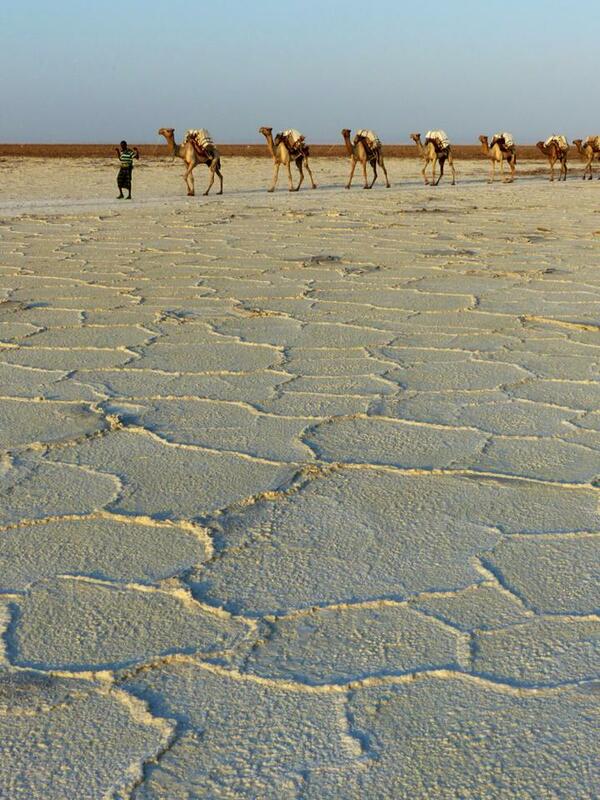 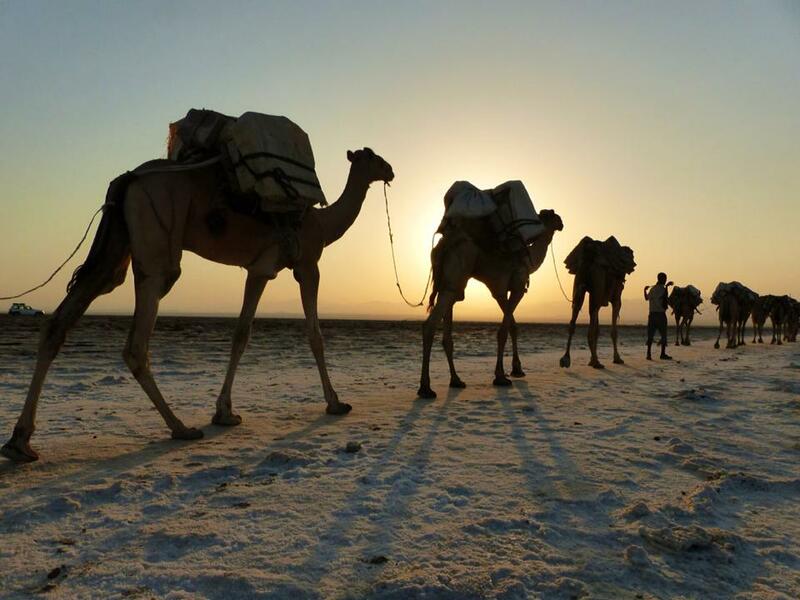 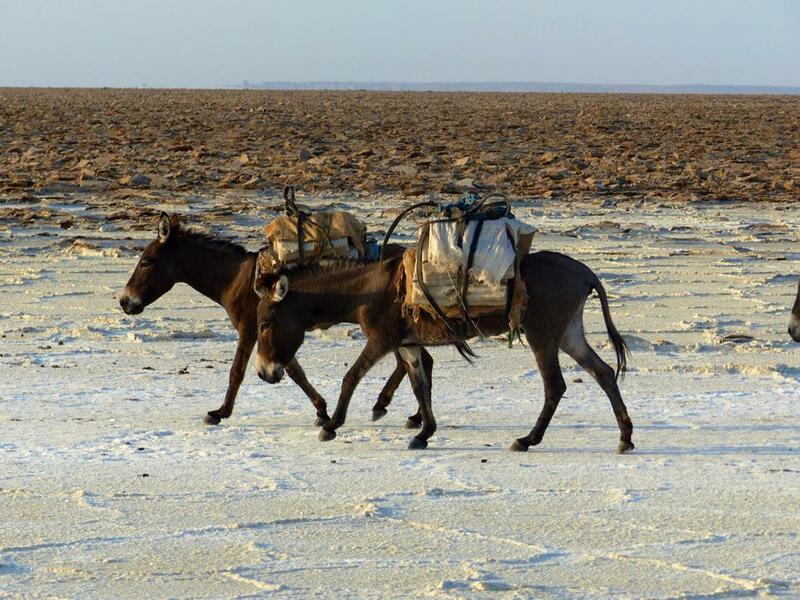 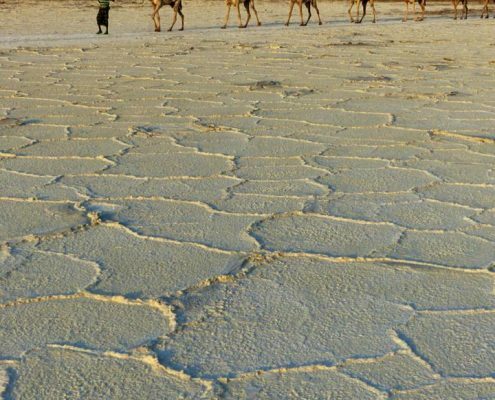 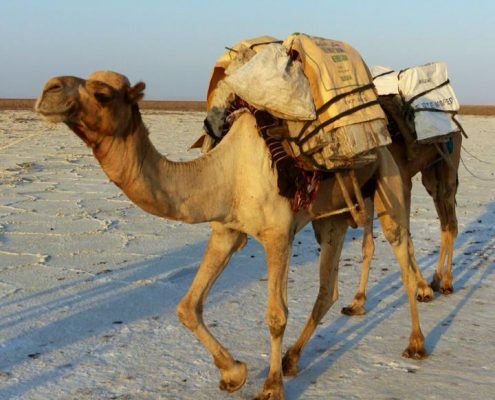 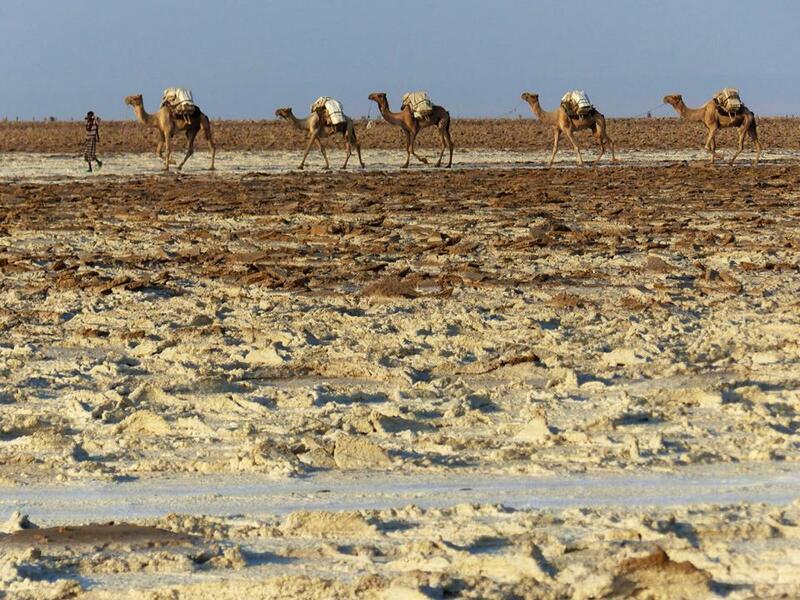 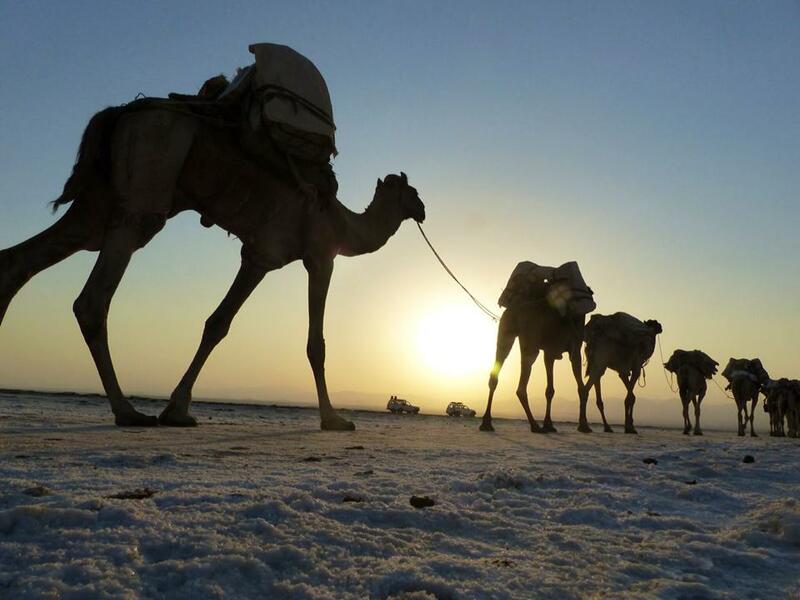 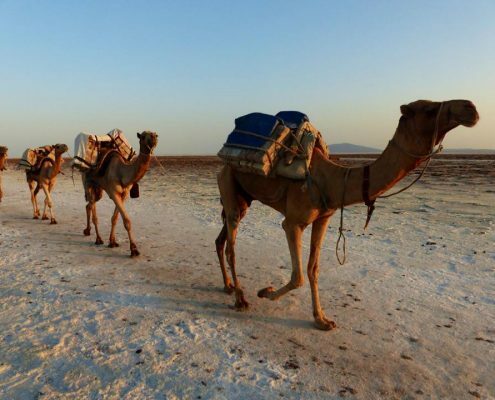 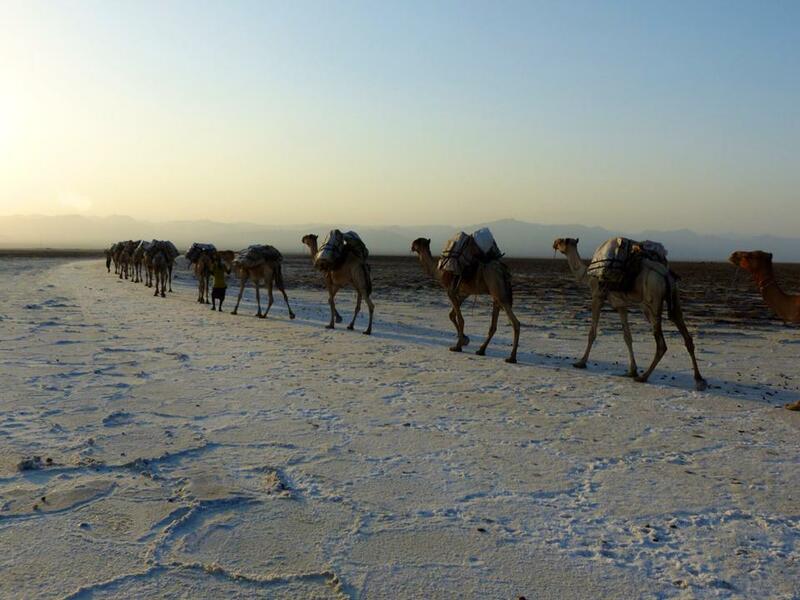 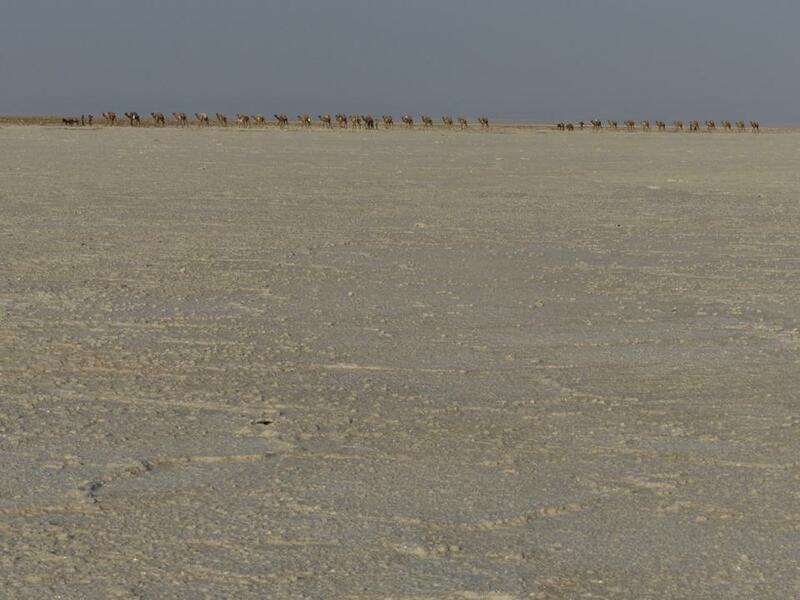 Each camel carries 13 salt blocks while little donkeys manage only 6. 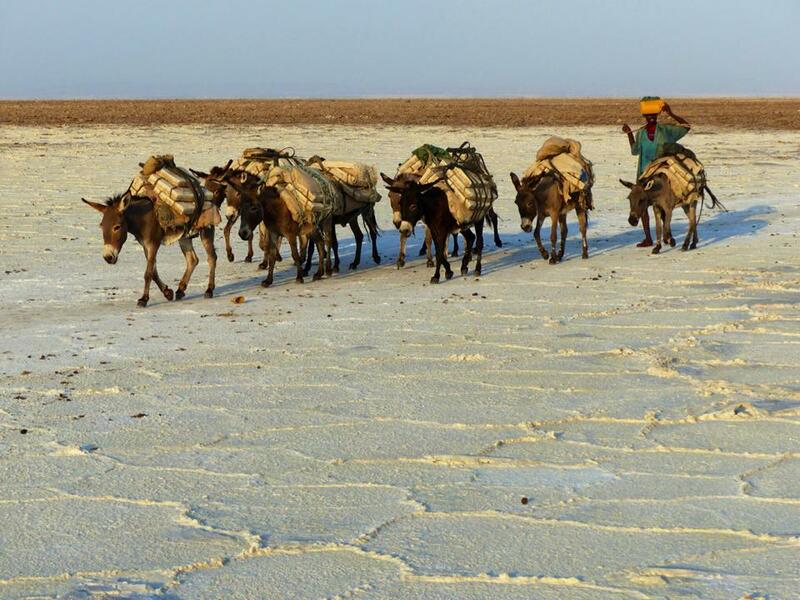 After multiple days of uphill travel, this salt will get sold at 4 Ethiopean birr (local currency) per block – which is equivalent to only 20 cents! 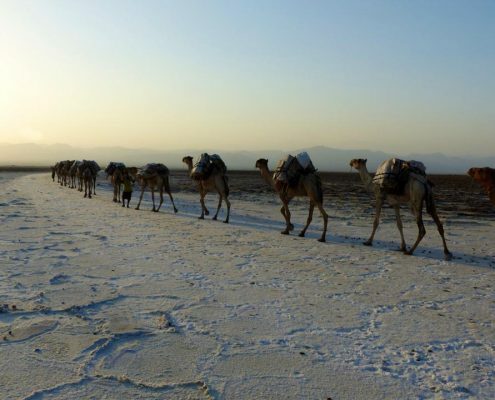 So a camel-load of salt is only $2.60 (if I still can do the math right).